The monitoring of processes involved with payment for various goods and services were not exactly possible as there were and are quite a number of processes involved during the payment for goods and services. The processes involved with the payment for goods and services sometimes take weeks and even months before completion and this inherently means late payments; generally late payments are sometimes inevitable and big businesses might be able to cope with it but small and medium-sized businesses might not be equipped to handle repeated occurrences of late payments. These late payments are really big issues for small and medium-sized businesses because companies sometimes take loans to help with the running of their businesses from financial institutions like banks and banks are generally more confident with granting loans to big businesses unlike small and medium-sized businesses; it is because of this reason that big businesses can still stand their ground when they receive late payments for goods and services unlike small and medium-sized businesses that rely solely on internally generated revenue. Solutions to these problems are expensive and limited, but InstaSupply is already involved in tracking down and reducing these kinds of problems. The InstaSupply platform supports trading of more than 2,300 companies and is growing daily. By allowing companies to match purchase orders to deliveries and finally invoices, we give them the ability to control which invoices are due and which require further investigation. Moreover, with our Payment Run product, companies can group approved invoices, apply any outstanding supplier credit and make a list of payments to be made to suppliers through their traditional banking services. By creating a business network between buyers and suppliers, the platform collects data from both sides. 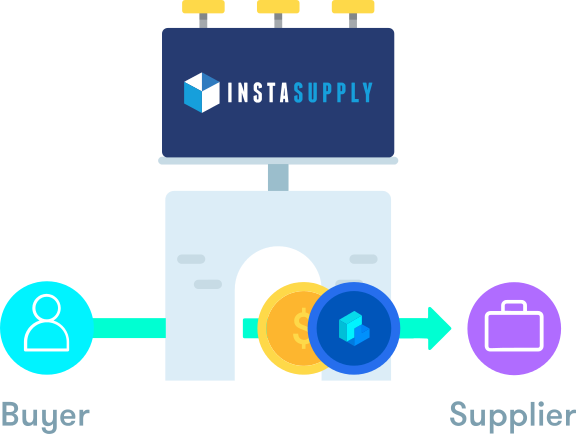 InstaSupply allows users to create and place purchase orders, track delivery, and match orders for the relevant invoices; this allows buyers to track, monitor and control their expenses. After receiving the invoice, customers on the platform can view the invoice and accept or reject it respectively. Once the invoice has been accepted, invoices are paid outside the InstaSupply platform. The data is transferred to the customer accounting software, requiring the customer to manually write to InstaSupply when the invoice has been paid. InstaSupply introduces a PayBlok utility token which gives its holders exclusive benefits on their platform. 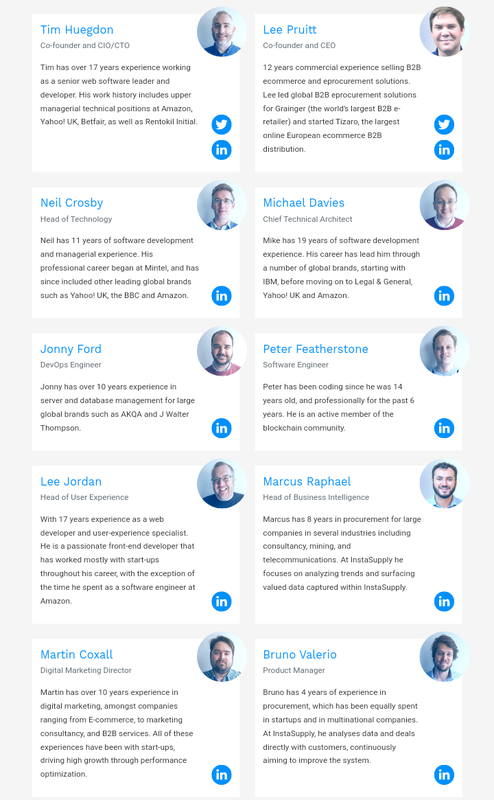 This PayBlok token enables InstaSupply to offer a range of services which solve the problems of SMBs and the services are Integrated Payment Solution, Supply Chain Financing and Asset-based lending. InstaSupply is a cloud stage that enables organizations to track and control spend crosswise over providers. The stage gives buy requesting, spending control, endorsement work processes, conveyance following, secure receipt and credit report stockpiling and information gathering, provider and item administration, instalment control, and bookkeeping compromise administrations. 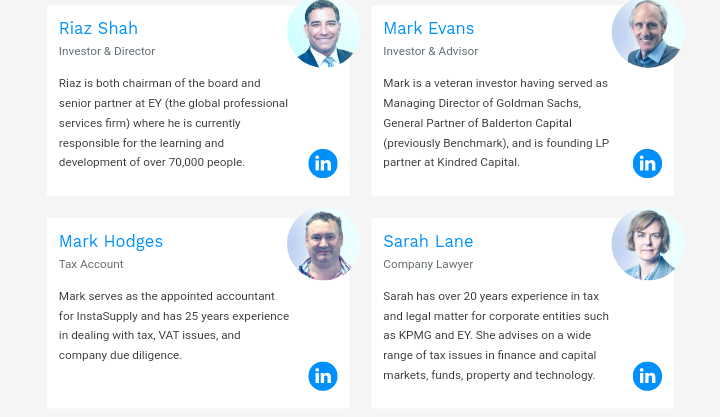 At present, InstaSupply is now associated with following and diminishing exceptional receivables for in excess of 2300 independent ventures. The stage was produced in 2015 and the group at InstaSupply handles exchanges esteemed at more than $60,000,000 every year. The stage enables organizations to coordinate buy requests to conveyances and solicitations. This gives a chance to the organizations to control which solicitations ought to be paid and furthermore to sort the ones that require assist examination. The InstaSupply additionally has the Payment Run item that enables organizations to bunch together the affirmed solicitations, apply for any exceptional provider acknowledge, and come up for a rundown of instalments to be made to providers through their customary saving money administrations. Mobile interface: The platform is accessible on mobile, which allows people on the go to use it. Customer-supplier boarding: The platform offers custom onboarding and training for your suppliers. Real-time tracking: Businesses will be able to track all the spending and payment activities across different locations and currencies. 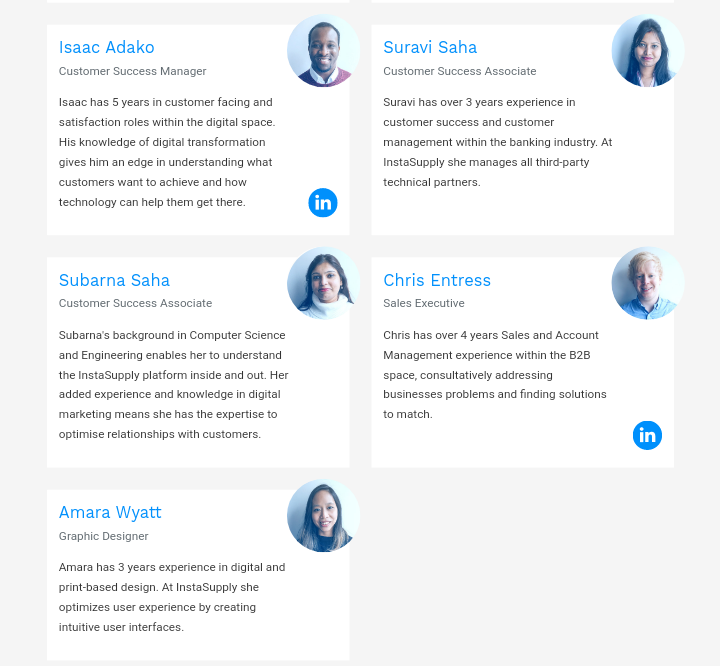 Expert customer care: The platform’s customer care representatives are always available to ensure the success of platform on your business. Custom approvals: The platform provides custom mapped approvals for all purchases and invoices. From the outset InstaSupply has provided workflow management and spend analysis without providing an actual payments platform. This means businesses can manage their accounts payable invoices and even organise them into payment runs that represent a bulk payment to multiple businesses on a given date. However, those payments need to be made outside the InstaSupply platform either via the business’s bank (for which we can generate a payments spreadsheet file to upload) or some other means, such as direct debits or credit cards. We hadn’t overlooked payments as a feature through choice, but simply due to the fact that finding a payment solution that suits all our customers and suppliers involved meeting an extensive list of requirements. We always knew that controlling payments for the businesses using our platform would provide significant advantages. 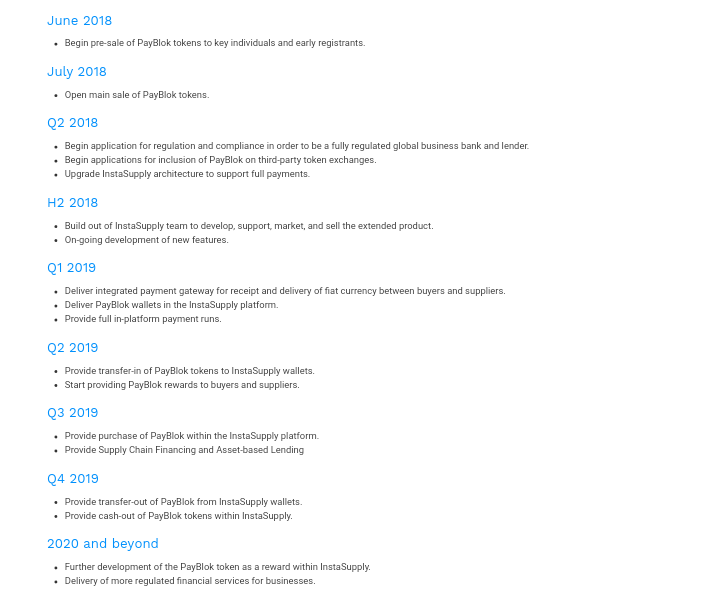 For the buyer by allowing them to control and track payments in our payments run feature, allowing automation where required, and the potential for supply-chain financing to artificially extend payment terms; for the suppliers by providing automated notification of payment, remittance advice, fast-pay discounting, and invoice factoring; and for us by providing data on actual payments which we can use to update states in our workflow. Up until now, every payment solution we have investigated either had a regional, currency, or technological short-falling. Thankfully, we are now working on an implementation that overcomes those short-fallings and meets all of our requirements for both customers and suppliers alike. However, as with any new feature we introduce, we know we are going to have to provide some kind of competitive advantage over competing methods in order for it to become a must-have feature for new and existing customers alike. This is exactly what the PayBlok incentive provides. 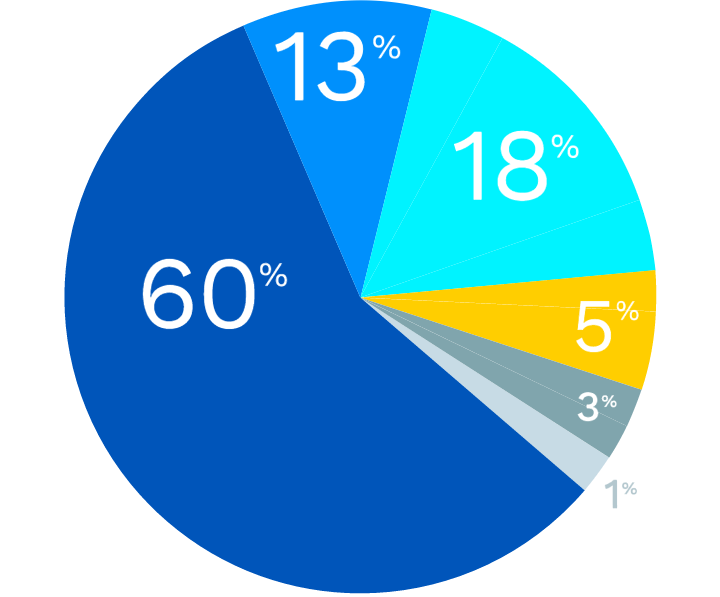 Buyers are rewarded for paying invoices using InstaSupply and receives 0.5% of the total value of the invoice as Payblok in their wallet. When an invoice is successfully paid early, and the whole transaction is settled before the invoice due date, both Buyer and Supplier receive Payblok into their wallet, corresponding to 0.5% of the original transaction. Businesses referring other businesses will receive tokens for 1% of all payments that the new business processes during the first 6 months after the signup. Businesses will be able to utilise the full value of their tokens when redeemed as discount against further payments. Alternatively, they will be able to sell the tokens for cash within the platform, minus a small exchange fee. 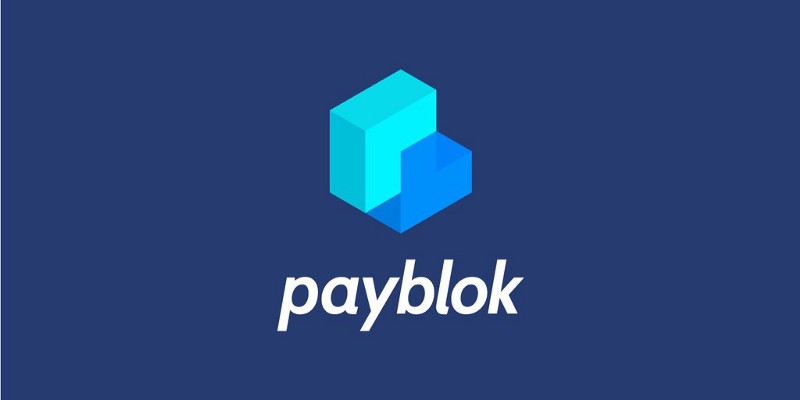 The PayBlok makes use of blockchain technology and the smart contract option to make the payment to the suppliers fast and easy. PayBlok offers the financial solution to the supply chain through this decentralized platform. The PayBlok tokens will be used as a tool to make good use of the payment feature that is inbuilt in the InstaSupply platform. The buyers and the suppliers will get rewarded with tokens once the payment is processed through PayBlok. These tokens can be used to get exclusive discounts and other low payment options when using the InstaSupply platform. The tokens can be used to make actual payments and this reduces the risk of cash transactions. The approval of the invoices has used the automation process and therefore there will be less delay in clearing the payments than doing it manually. Payblok.instasupply is a crypto-asset (token) that allows its owners/holders the access to exclusive benefits inside the InstaSupply platform and it will be developed under the ERC20 Token Standard.